Going Nutty! : Day 2 of My Celebration!!! I know some of you started with just staff today. Some with staff and sweeties. No matter who you spent your day with, I hope it was a great one! I am glad so many of you stopped by to celebrate with me yesterday! Tonight there are 5 more "mini" giveaways. Tessa has made a terrific unit to use with the hundreds chart. 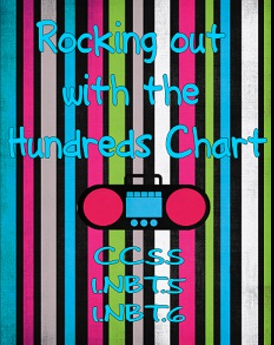 Navigating the hundreds chart is crucial to a child's early education. It helps build their number sense and helps them begin to add and subtract. This mega-pack includes three different differentiated activities using the hundreds chart. The activities are set up between 0-20, 0-50, and then 0-120. You can choose the activities that best meet your students needs. 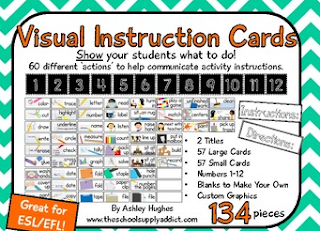 This 37 page PDF contains cards so you can 'show' your students what to do during activities. I use this with my ESL/EFL students and it works wonders. I just explain instructions and hang the cards for reinforcement. I rarely have students ask me "What do I do now?". 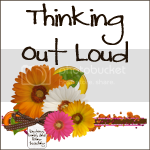 Ashley's Graphics are just amazing- you will love them! 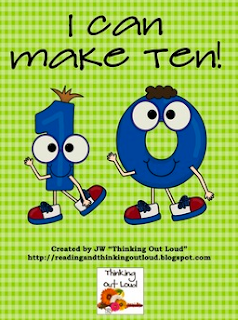 Early elementary students need to be fluent in adding and subtracting within ten to build a strong foundation for future mathematical thinking. This product includes three activities and three word problems to help students practice making different combinations of ten. The activities can be used whole group, small group, or as workstations/centers. has created a way to help us all with partner reading. 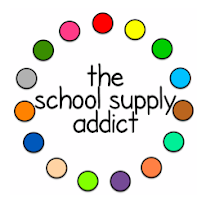 This super fun pack of CCSS aligned colorful activities will have your readers begging to show off their comprehension skills! 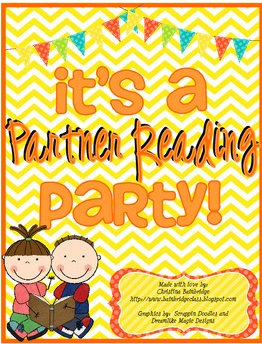 This pack includes activities for partners to use together during partner reading time... or for you to use whole class! 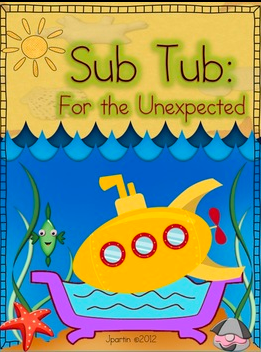 This set contains everything you need to make a marvelous sub tub. And, it is completely programmable in PowerPoint. I kinda wish I wasn't me for a few days, so I could enter, too!!! Have a Wonderful Wednesday tomorrow! And be sure to come back- and check to see if you won!